We’re now nearly a month into 2019! 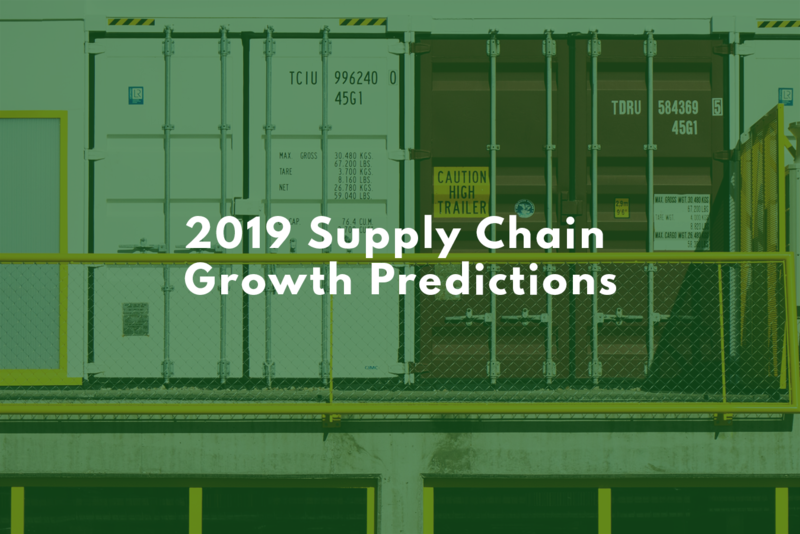 With everyone back to work after the holidays and the complex supply chains around the world gearing up to tackle what looks to be a challenging year, we at Clearit think it’s high time we go over our predictions for growth in the supply chain for 2019. Read on to get a peek at what’s coming up — and what’s already happening — in supply chains around the world! 2018 saw a number of companies wake up to the need for digitization; in 2019, the final push away from analog processes will see supply chains around the world opting for the automation of certain processes that eat up time when done by humans. The global truck driver shortage doesn’t look to be easing up in any significant way any time soon, but as AI-powered self-driving truck technology continues to improve, it may not be as much of a problem going into 2020 as it is now. While the first automated self-driving cars won’t hit the roads this year, planned releases next year mean 2019 is an ideal time for companies looking to be on the cutting edge of supply chain innovation to start preparing for new, automated additions to their fleets. Finally, robots will see increased adoption as an answer to warehouse labour problems ecommerce presents, cutting down on wasted costs needed to prepare and ship individual items. This will allow suppliers and importers to keep up with consumer demand for next-day and same-day shipping without being a net loss in revenue. Previously the realm of ecommerce stores and social media websites, data collection is becoming a big deal across industries around the world, online and off. Supply chain management is no different, with supply chain professionals starting to focus on data analytics. Data collection itself isn’t new to global supply chains, but we predict 2019 will see an increased focus on its importance as more and more professionals see the value of data analytics software, especially when it comes to tools like data-enhanced route optimization of the last mile for more and more efficiency in an ever-greener world. In addition to route optimization, data in 2019 will help suppliers and importers avoid problems before they become problems. With the capacity crunch spelling out delays in shipment times as the year stretches on, predictive analytics will be employed to help supply chain professionals offset wait times and plan ahead. Blockchain saw increased adoptation in 2018, and we predict that growth will continue exponentially in 2019. Track and trace applications will see increased investment, and consumers will come to view the ability to track a shipment throughout international supply chains in real-time as standard. While 2019 may not be the year of mass adoption of blockchain throughout the supply chain, it is sure to see more pilot projects and proof of concepts testing out potential blockchain applications. Cold chains will likely see more pilot projects to track food safety, and consumer goods supply chains should start to look at anti-counterfeiting applications for increased customs compliance standards. With consumers making more spending decisions based on shared morals and community activism, blockchain applications can help importers be aware of exactly where their goods came from, allowing for growth of international fair trade supply chains. With an uncertain Chinese – American trade war, the unknown impacts of the still-undefined Brexit, and tense global climate, 2019 is set to be a year where human connection, industry collaboration, and strengthened partnerships determine who succeeds and who fails. As supply chains around the world are shaken up by new technologies and politics, collaboration within supply chains will allow manufacturers, warehouse owners, importers, and everyone they work with to keep up a steady flow of goods around the world. 2019 is your year to get the best on your side. Why not start by working with a qualified customs broker?